I'm having some problems with a quest in skyrim can you help me out? We started the podcast back up on Toonzone. The last 4 are from this year. Would love to know what you guys think of it. Hi could you change my name from aidan prehatny to enomer? Truth is my friend made this acc years ago and gave it to me, he has requested i change it so that anyone who googles his name doesnt get this link to the website. cleanse UP all the Graffiti.......from RedNeK's post below....except for the & HARLEY QUINN IS AMAZING part ........He is such a trouble maker....have to chase after him all the time! Hello, someone in the chat said I need to talk to an admin in order to a colored name, could you perhaps make my name lime green? I am not sure if there is a specific admin I need to contact so I'd appreciate if you could do it, or let me know who could. Thanks. Will the site return back to normal? The ads around the border are an eyesoar, the new homepage is just simply terrible (and is basically spam), and all the redirects to Call of Duty and some strange spam blog are very off putting, and detract from the overall website. This website is looking more and more like adspace for several websites each month than an Elder Scrolls community. 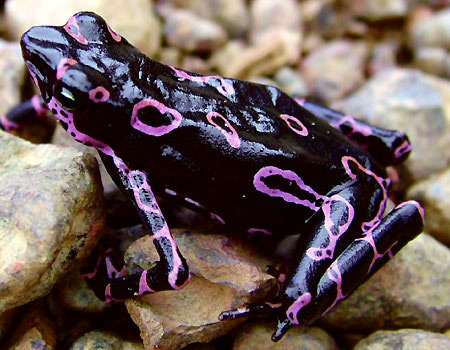 Everytime I see your name I think of the Harlequin Toad. I know. I'm weird that way. There's this other forum I've been working on for about 15 years and I probably have many fewer posts than most people because most of what I do is behind the scenes. Thanks for the welcome! You are most welcome! And hey, if you help keep the site running, then you're helping everyone to post. Welcome to the forums! I know this is rather late, but better late then never right? Just wanted to say hi here, and good luck as admin, :). I can also extinguish the light of the sun with a mere thought. wait...what?!?! i thought renegader was admin!! btw....my dads 8 years older than you :D!! I guess. If you're afraid of five foot tall women. But I am also half-Mexican. So, there is that. My Grandmom was only 4'10 and everybody was afraid of her. Btw your nick is very familiar to me... do you maybe play Star Trek Online? Nope. What other communities do you hang out at? I see... My bad than. I know one girl from Star Trek Online with the same nick so I thought maybe you are the same person. I'm singed only on 2 two forums here where I'm the most active and another one is Paradox where I'm passive member. I can't help but to notice how incredibly beautiful you look, HarleyQuinn. Captain Nagisus, Panthera Tigris and Gunnbjorn like this. Me? A flirt? Why I never!